Flying saucers, aliens and Martians were all topics of obsession during the 1950s space race. Come relive the intrigue! The suspense! The overacting! Not to mention the sidesplittingly awful special effects, at least by today's standards. 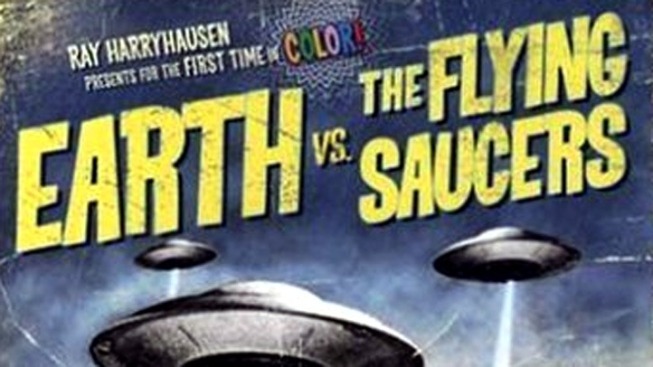 "Earth vs. the Flying Saucers" -- a portion of which is set in Washington, D.C. -- will screen this Thursday, June 30, in the Ring Auditorium of the Hirshhorn Museum (7th Street and Independence Avenue S.W.). This movie was released in 1956 and was based on the novel "Re-Invented" by H.G. Wells. Most notably, the aliens actually request to schedule a meeting with the leaders in Washington. Even though they ultimately still want to destroy humanity, those are some darn polite aliens. Admission to this event is free for the event but the numbers of seats are limited, so arrive early and grab those seats fast. And if you're more in the mood for outdoor flicks, check here for our complete summer schedule.